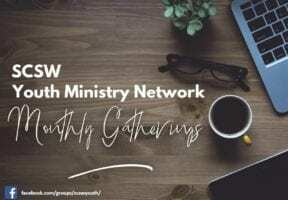 Multi-Staff Event for All Congregations! 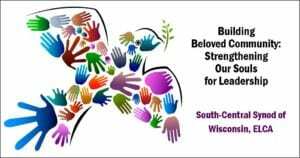 Tuesday, May 21 - 8:30 am - Noon at McFarland Lutheran Church. 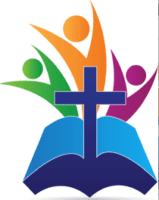 Congregations are invited to send all staff members to a morning of worship, conversation and collegiality. Please join us for the next Children, Youth and Family Network Meeting,Thursday, May 23 10:30am-12pm. We meet to support, dream and vision together. 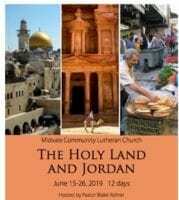 Holy Land Trip June 15-26, 2019 Registration is due by September 30! This journey will be a pilgrimage in which we will follow in the footsteps of Jesus, seeing the lands of the Bible. Throughout the trip we will share group reflection, prayer and worship.